Blackjack Double Exposure is an interesting variation of the classic game whose rule variations seem to add a degree of predictability while simultaneously reducing the player’s overall chances of winning hands and lessening the total payout amount when they do. Broadly, relative to standard Blackjack, there is one rule variation that works in the favor of the player, but this is offset by several others to even out the odds. The goal of the game remains the same as in normal Blackjack: have the sum value of your cards be as close to 21 as possible. If your sum is greater, you lose. If you are closer to 21 than is the dealer, then you win. There does not appear to be any kind of side bets with Double Exposure. Undoubtedly, the biggest change relative to standard Blackjack is, as the name implies, that the dealer’s hand is revealed to you at the outset. In terms of experience, what this does is that it really makes making any strategic decisions very straightforward. If you’re initially dealt a 16 and the dealer is dealt a 17 or greater, it’s fairly clear what you as the player have to do. This is the rule variation that favors the player that we mentioned above. The aforementioned variation is offset by a range of others: The most significant is that instances where the player and dealer have the same sum at the end, are no longer a push. Rather, these hands are now won by the dealer. As with the above rule, this makes decision-making straightforward. If you’re both dealt a 14 at the outset, it’s clear that you must hit. The important exception to this rule is that Blackjack (a sum of 21) goes in favor of the player and not the dealer. Another variation that does not lower a player’s chances of winning but does decrease the potential payout is what is paid out in case of a Blackjack. In Double Exposure Blackjack, this is 1:1 whereas it is normally 3:2. Finally, another typical variation is that players are only allowed to split once. That takes a bit of the spiciness out of things, but splitting more than once tends to be a rare occurrence nevertheless. 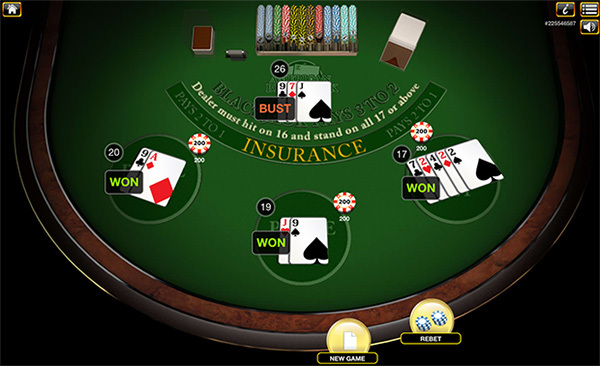 There are several other potential rule variations that may appear depending on the location of the game: In some less player-friendly variations, tied Blackjacks can be a push (as opposed to a player win). There also does not appear to be much uniformity on whether or not a player may double on the hand. All in all, the experience of playing Blackjack Double Exposure is not as unpredictable as is playing regular Blackjack, and therefore it’s just not as fun to us either. It appears to take a lot of the fun out of it when one knows exactly what they have to do because they can see the dealer’s hand. If anything, this game might be appropriate for someone just starting out and looking to learn the ropes a bit.